Do you have a local SEO strategy for your dispensary? If you’re operating from just one location, your strategy will be fairly straightforward. As long as you’re employing local SEO best practices for that one location, you’ve got a good shot at dominating the SERPs…and the competition. But what if you have multiple dispensary locations? Well, that’s a whole different ballgame. Because even though your dispensaries might operate under the same name, you still need an individualized, local SEO approach for each of them. Otherwise, you run the risk of confusing Google and your potential customers. And that could lead to damaging results for your overall SEO. To avoid all of that, here are 5 ways you can master local SEO for your multiple dispensary locations. Some dispensaries with multiple locations have just a single website to cover them all. Each location should have a separate landing page all to itself. What Should Go on Each Landing Page? Use a local business schema markup for each of your location pages so that all of your dispensary’s information (business hours, phone number, address) appears directly in the search results. All dispensaries should have a Google My Business listing, whether they have multiple locations or not. But just like you need a separate landing page on your website for each location, you also need a separate Google My Business listing for each location as well. Citations make up all the information about your dispensary that’s available online on other websites. It doesn’t matter if these citations have links back to your website or not. Google still looks at that information to determine how to rank you. If there are any errors or inconsistencies in your citations, that can damage your local SEO. So make sure all your citations are correct. Some of these directories may already have your information listed. If that’s the case, you’ll just need to “claim” the listing. But if you’re not already on one of these directories, go ahead and add yourself! If you need help tracking down all of your citations, try Moz Local. It will scour the web for any listings of your dispensary, and it will let you know if that listing information is correct. If you’re providing a steady stream of valuable content for each of your dispensary locations, you’ll improve the chances of those locations remaining competitive on Google Search. For example, a blog for each of your locations is a simple way to generate content. And if your blog attracts enough attention, you could wind up getting shares and valuable backlinks. You should always post content that will be of specific use to the customers that you’re targeting for that location. Promote your blog using social media and email marketing as part of overall marijuana marketing in order to help increase traffic and the potential for shares. Your reviews can have a massive impact on your local organic search traffic. If one of your dispensary locations comes up in a Google search, your reviews will be posted right along with it. Imagine how impressed customers will be when they see your business listed on Google, and they notice that all your locations rank between 4.5. and 5 stars. That tells the customer that your brand provides a consistent quality of service, no matter where you’re operating. 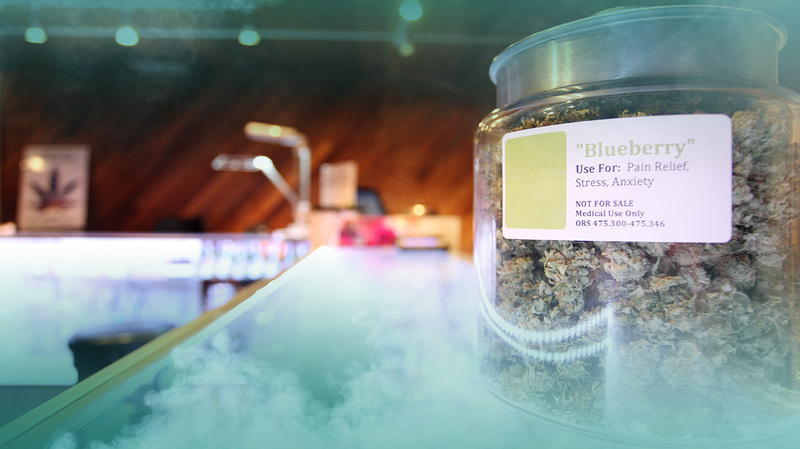 Having great local SEO for multiple dispensary locations doesn’t just happen overnight. It takes a lot of planning and coordination, but the payoff can be tremendous if it’s all done properly. Have questions on how to improve your local SEO for your dispensary locations? Give us a call at (702)-600-9687 or email us hello@hazymarketing.com. We’re happy to help! © 2017 Hazy Marketing LLC, All Rights Reserved.